We’re very proud to announce the first ever online Tracklib Beat Battle. And you have the chance to make history as our first ever battle winner, get your beats promoted by us and win great prizes. It’s pretty simple. All you have to do is download our two free tracks, cook up something great and share it on Instagram. This beat battle is now over. The tracks will be free until Thursday 30th of August when we will also announce the winners! Thank you to all who participated! Make a beat by sampling one or both of the two free songs. Upload a video of your beat to Instagram (max 30 seconds) before August 27th, 2018. You are only allowed to share a 30 second version of your track online as part of this competition - to share a complete track or in other media you still need to purchase a sample license. 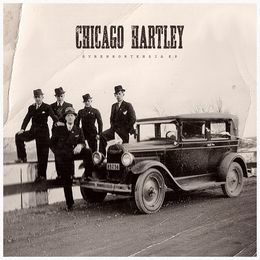 Chicago Hartley is the brainchild of Swedish platinum awarded composer Jimmy Cardell, known professionally as Jimmy Ledrac, record producer and musician born in 1977. Ledrac started in hip-hop making beats for European rappers such as Promoe (SE), Raptile (DE), Curse (DE), Kollegah (DE) and Sokol i Marysia Starosta (PL) in the late 90's and is still going strong. A multi-instrumentalist with a diverse interest in different genres, Cardell has an eclectic discography that can be attributed to his musical versatility. Recently, Jimmy has worked with South African pop artist Capso. While composing and producing for mostly rappers in 2010, Jimmy also developed his artist project, Chicago Hartley, which is made up of himself on all instruments and production, alongside guest vocalists. Your Instagram profile needs to be public for us to be able to see your post. Only entries using the #tracklibbeatbattle where at least two friends are tagged are participating. The winning prize is selected by Tracklib together with Jimmy Cardell. Winners will be announced in our next newsletter, sent out on August 30. The winner will be notified by email and/or DM on Instagram within 7 days of the closing date. If the winner cannot be contacted or does not claim the prize within 14 days of notification, we reserve the right to withdraw the prize from the winner and pick a replacement winner.